Unemployment numbers are at record lows across the board. And the new LinkedIn Workforce Report reveals gross hiring in the US is 4.5% higher than in May of 2017. 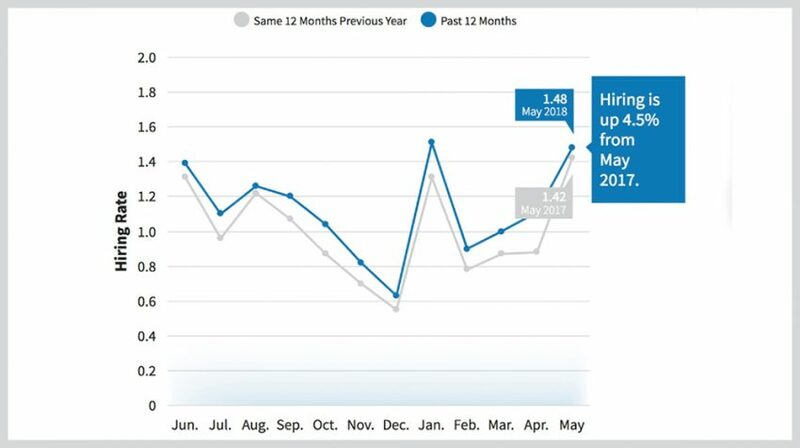 When you take the seasonally-adjusted national numbers compared to April 2018, the hiring for May 2018 was up by 5.3%. 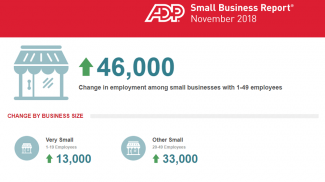 Businesses are hiring, and this creates a tight labor market in which companies are competing for a dwindling workforce. 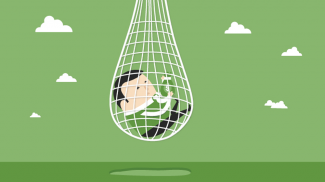 For small businesses, this means having to compete against large companies with much deeper pockets. And the shortage of skilled candidates is affecting industries across all sectors. 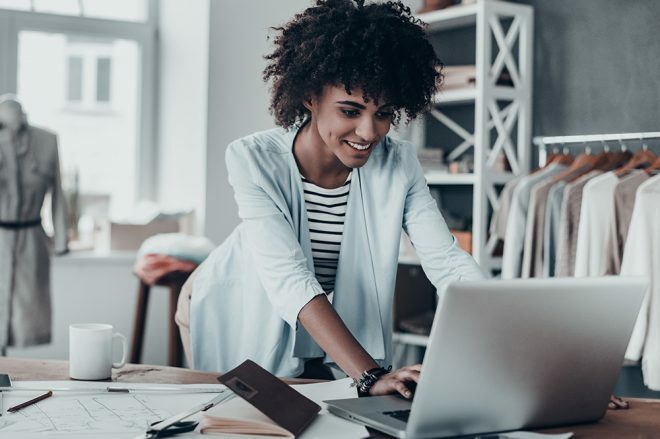 According to the Randstad 2018 US Salary Guides report, this is now a job seeker’s market. 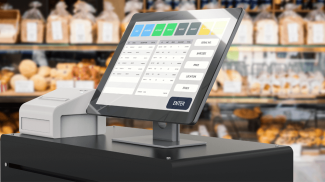 The report says salaries have risen by three percent across many fields and industries, which further exacerbates the difficulty small businesses are facing when looking to hire the best talent. The monthly LinkedIn Workforce Report looks at employment trends in the US workforce. The report is divided into the national and city section. The national section offers insights into hiring, skills gaps and migration trends across the country, while the city section provides localized employment trend data for 20 of the largest metro areas in the US. When it comes to specifics, the oil industry has increased hiring significantly as the price of oil has rebounded from the lows of 2014. In cities driven by the oil industry, hiring has gone up by as much as 12.4% with an overall increase nationwide to 13.1%. Other industries seeing increased seasonally-adjusted hiring rates include technology and hardware at 12.4%; manufacturing and industrial at 11.8%; financial services and insurance at 8.8%; architecture and engineering at 12.5%; and aerospace, automotive and transportation at 12.7%. 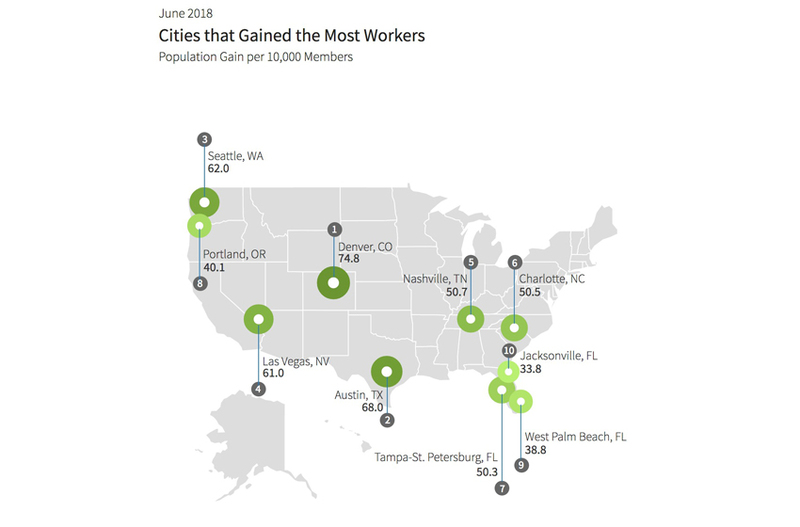 Cities suffering the highest unfilled demand for workers with certain skill sets include San Francisco Bay Area, Washington, D.C., and Austin. Here is a list of the cities across the U.S. where businesses large and small are seeing the largest skills gaps. 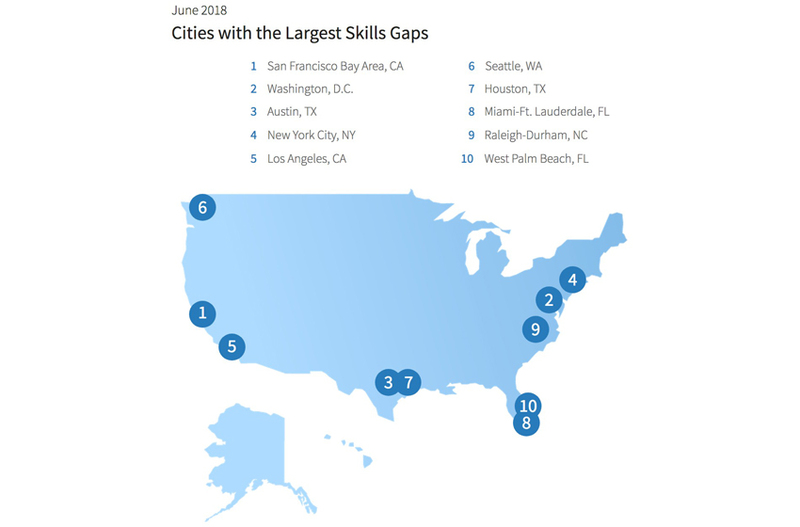 Not surprisingly, a similar list of cities top the list of locations where the demand for certain skills from employers far exceeds the supply of those skills in the workforce. Compared to other cities, San Francisco Bay Area, Austin, and Washington, D.C., also have the greatest scarcity of skills. On the other hand, communities with an abundance of skills allow businesses large and small to easily choose from a variety of qualified candidates with the skill sets they require. West Palm Beach, Miami-Ft. Lauderdale and Hartford have the greatest abundance of skills. Denver, Austin, and Seattle topped the list of cities experiencing a growth in their potential workforce. The ranking was created by looking at the population gain in each city per number of LinkedIn members. For example, in the last 12 months, 74.8 people arrived in Denver for every 10,000 LinkedIn members giving this city the top ranking. 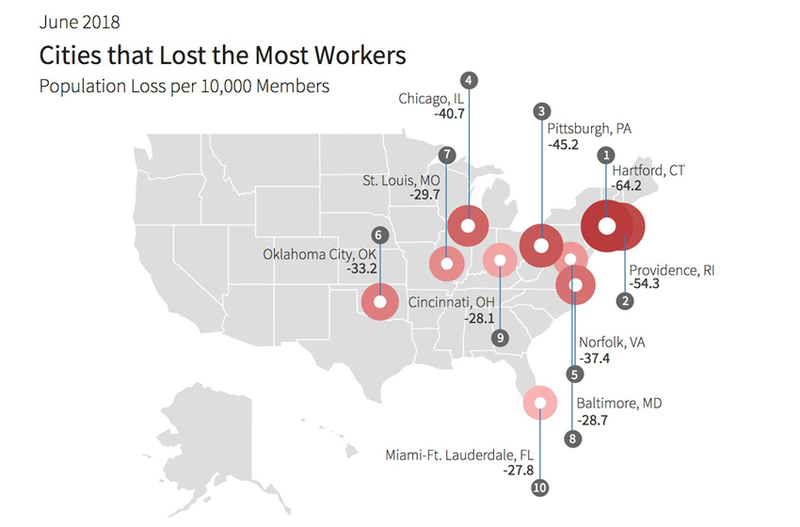 By contrast, Hartford, Providence, and Pittsburgh lost the most workers using the same calculation. For example, 64.2 LinkedIn members in 10,000 left Hartford in the past 12 months putting it at the top of the list. You can click on the links for each city to get additional details. Thanks for sharing the stats Mr. Guta such a great help for opportunity seekers. I really wonder at what point wages/hiring is good enough to start pulling in people who were non-participants before? Basically, the people that don’t currently get counted as “unemployed” because they’re not looking for work. More employment is good in terms of purchase power. It will fuel businesses to grow. But customer service demand highly depends on the demand for other services and products. So it is just right, I think. The landscape is changing and so does work. There are now more workers in remote areas as well.